It may come as no surprise that recent studies on land use perceptions have found that the primary concern of many farmers is increasing productivity. This, of course, can be problematic when agricultural productivity comes at the expense of wildlife and the environment. Among those striving to change farmers’ perception of land use to one that is mutually beneficial for people and the environment is Anna Mitterling, wildlife cooperative coordinator for Michigan United Conservation Clubs (MUCC). She has spent the past three years developing and promoting a program to inform farmers of land management best practices for conservation. The MUCC joins the Michigan Department of Natural Resources, the Quality Deer Management Association, and Pheasants Forever to form the Michigan Wildlife Cooperative. This voluntary conservation effort brings land-use stakeholders together for the benefit of their local habitats and wildlife. These hunters, farmers, and wildlife conservationists share information and improve their seemingly contradictory relationships through protecting their mutual interest in helping local species thrive. People’s willingness to participate in a wildlife cooperative often largely depends on whether they see a personal benefit. Hunters, for instance, support pheasant cooperatives that protect habitat important for the birds to thrive, which is good for the birds and for the hunters. 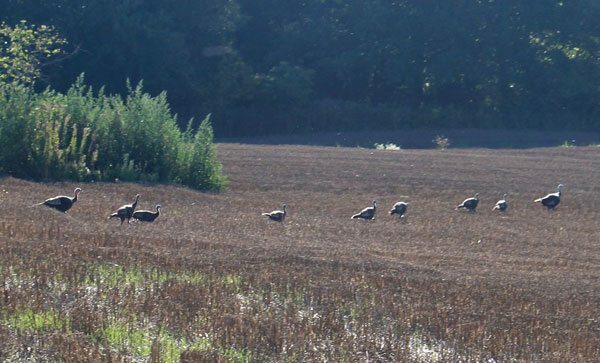 In Michigan, two species that are a major focus for cooperative groups are deer and pheasants. Both species are regular prey for hunters. They also play important roles in local ecosystems. Conversely, there are some farmers whose perception of wildlife conservation is as a threat to their business. For example, where some farmers may view birds and bats as natural insecticides, fruit farmers only see a menace to their crops. Thus, conservation efforts involve multiple stakeholders who can transform seemingly competing interest into win-win situations. Sara Kross, assistant professor in the Department of Environmental Studies at California State University, Sacramento, found a positive relationship between land owners’ perception and their conservation activities. Similarly, another study suggests that people’s perceptions about the environment and their inclination to participate in conservation activities are influenced by their level of environmental exposure—“that time in nature and strong subjective connections with nature promote sustainable attitudes.” The study explicitly tested the link between nature exposure and sustainable behaviors and found consistent evidence that exposure to nature can produce pro-social, cooperative, and sustainable behavior. The number of wildlife cooperatives has been growing steadily in Michigan since the 1990s, and now the state boasts over 120 cooperatives. Increasing the number of cooperatives depends on the willingness of private landowners to participate, which depends on their understanding of how conservation best practices can be mutually beneficial for them and the species that share their land. This case of flourishing wildlife cooperatives in Michigan illustrates an interesting, but often underutilized, opportunity for nonprofit organizations: the forming of collaborations to accomplish a common goal. Nonprofit organizations exist to fill needs and solve problems. Some of those problems, from hunger to wildlife conservation, are addressed by sometimes hundreds of different organizations, all with a different approach to their mission. As the Michigan Foundation reminds us in its publication Working Better Together: Building Nonprofit Collaborative Capacity, “Each organization must seek its own funding, develop its own plans for sustainability, create its own niche and brand, and compete with other organizations for funding and recognition.” This practice of everyone for themselves can undermine organizations’ efforts and limit their effectiveness. It is clear that no single organization can succeed on its own, especially when it means changing complex systems. There are increasing numbers of nonprofit leaders and funders that understand the importance of collective action and that coalitions can work together to maximize their impact. Additionally, many funders have also acknowledged the virtues of coalitions and will make funding decisions that support partnerships between organizations working toward a common goal. The Center for Lobbying in the Public Interest lists some of the advantages of joining a coalition: increased credibility, maximized resources, and shared ideas. It cites coalitions as an effective way for nonprofits to increase their impact by amplifying their voices and through shared resources, including technical assistance, shared office space, and overhead. Cooperatives are also helpful where coveted resources are limited, or problems are beyond the capacity of a single organization to solve. By utilizing expertise across multiple sectors, public and private sector organizations can harness their collective resources. A recent example is the newly established Smart Communities Coalition, a public-private alliance formed to bring technology innovations to refugee communities.